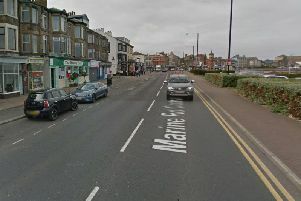 A meeting is being held this morning about controversial plans to extend the hours when live music can be played at a Heysham pub. The Royal in Heysham village wants to extend its licence for music indoors and outdoors until 1am seven days a week. Residents have protested against the plans saying they will cause a public nuisance. The application for a variation to the pub’s premises licence is by Thwaites, owners of the Royal. At the moment the pub is allowed to play live or recorded music indoors no later than midnight Monday to Saturday and 11.30pm on Sundays, and until 11.30am outdoors only on a Sunday. Daniel Thwaites plc say the application is “to reflect proposed changes to the layout of the premises”. A decision on the licence variation is expected today at a Lancaster City Council licensing committee meeting at Morecambe Town Hall.